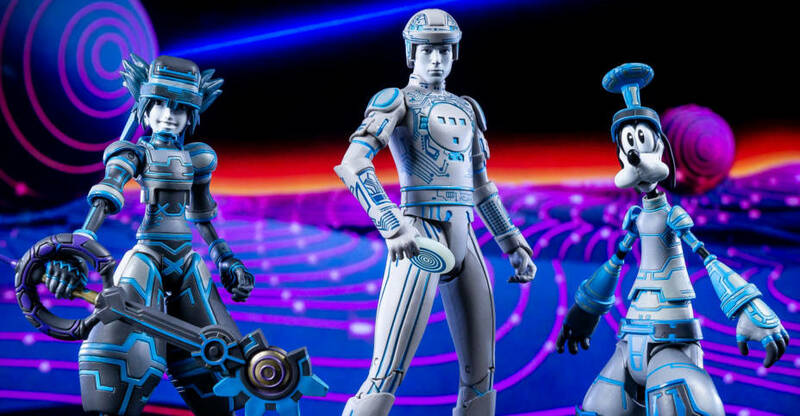 The original Tron finally gets its due from Diamond Select Toys with Kingdom Hearts Select Series 3 from Diamond Select Toys. There have been very few great Tron figures, or even worthwhile collectibles, over the years. So it’s great to see the classic versions of the characters, even though they’re based on a video game appearance. 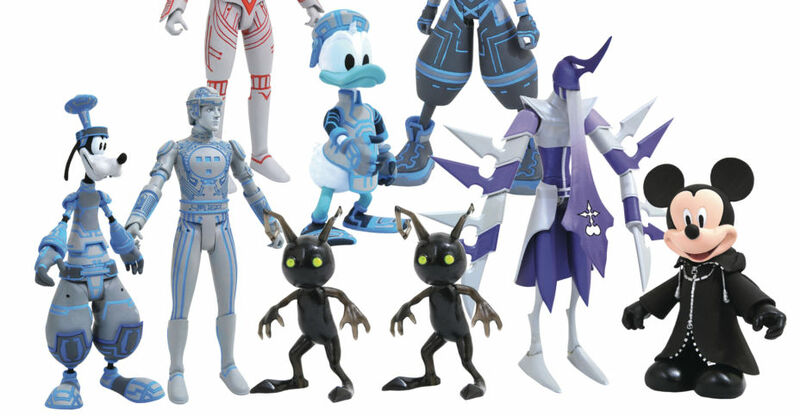 The third wave of figures is based on the Space Paranoids world from Kingdom Hearts II. In the game, Sora, Donald Duck and Goofy travel to the Grid and meet up with Tron and face off against the villainous Sark. DST brings a few of these guys together in two 2-packs. 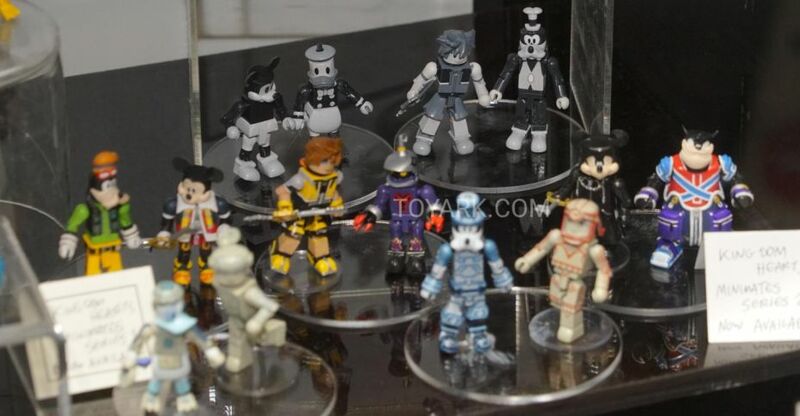 The sets include Tron and Sora, as well as Sark and Goofy. The figures are in stores now. Each set retails for about $25. You can check out my gallery and thoughts after the jump. 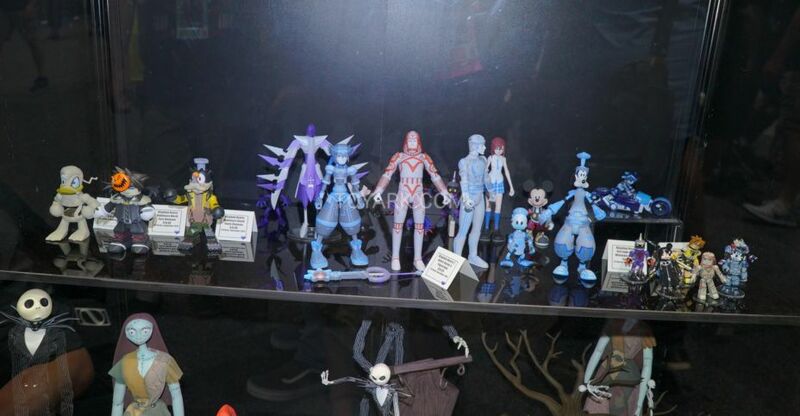 This Disney themed gallery features Kingdom Hearts and Nightmare Before Christmas collectibles on display by Diamond Select Toys at New York Comic-Con 2018. 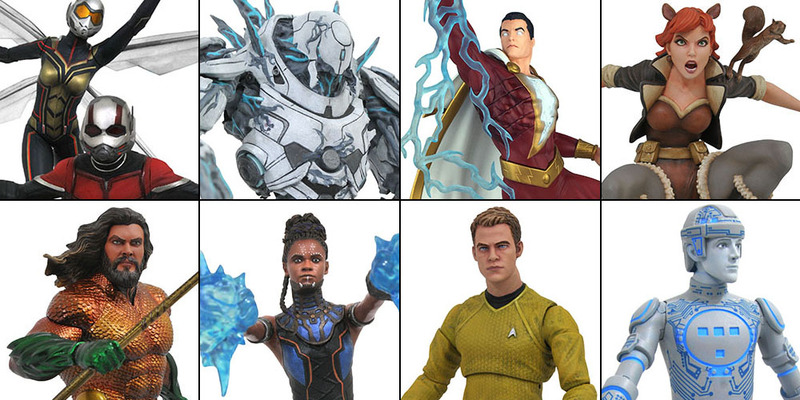 Diamond Select Toys has sent along a post an San Diego Comic-Con 2018 update, with official photos and details. At the event, they showcased numerous action figures, statues and busts across a number of licenses. Included are pics and info for some of their DC Comics, Marvel Comics, Sonic The Hedgehog, Pacific Rim, Kingdom Hearts, Ghostbusters, Star Trek, Nightmare Before Christmas and more. Click the headline of the story to check them all out. The biggest pop-culture exhibition of the year is in our rear-view, and while many companies showed off new items, Diamond Select Toys revealed dozens of new products scheduled for release in early 2019, from licenses like DC Comics, Marvel Comics, Pacific Rim, Kingdom Hearts, Real Ghostbusters, Star Trek, Nightmare Before Christmas and more! With a variety of formats to choose from, there’s something for every kind of collector – It’s the best of all worlds! 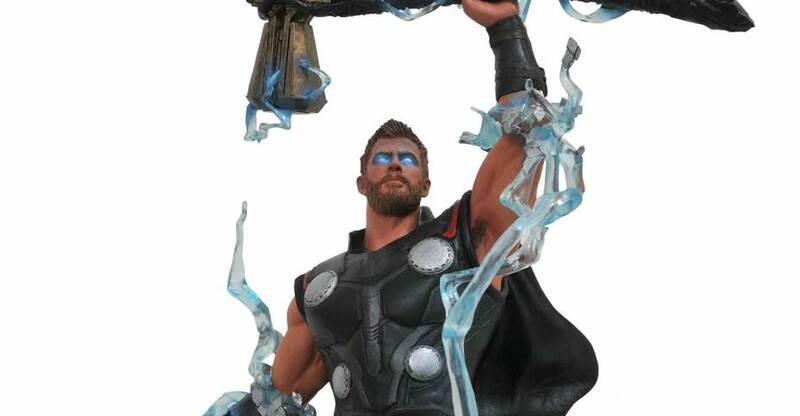 Pre-order through your local comic shop, or look it up on shop.diamondselecttoys.com! 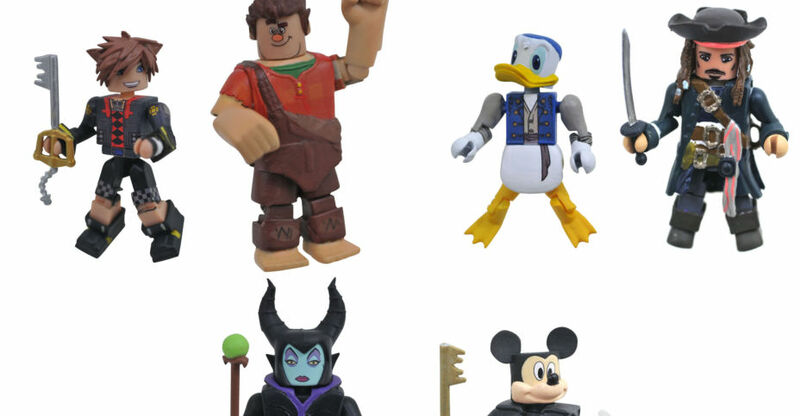 In this gallery, we have photos of the Kingdom Hearts Select, Minimates, and Vinimates. Also making an appearance are their sonic the Hedgehog Minimates and Vinimates. These are collectibles that should hit stores in late December. After the jump, you can see photos and full details for the items. 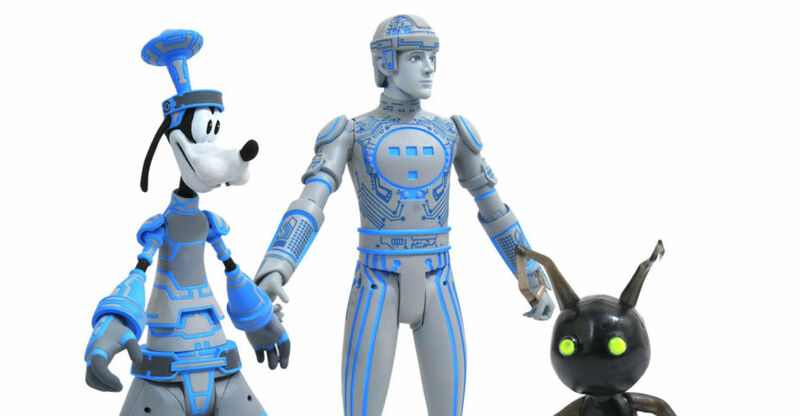 DST Kingdom Hearts Select Line Adds Tron, Sark and More! See the photos and details after the jump.